Convert DXF files to BMP efficiently. 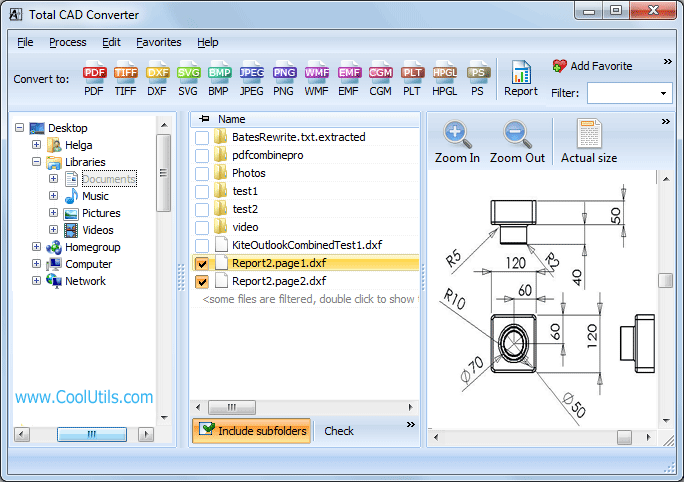 You are here: CoolUtils > Total CAD Converter > Convert DXF files to BMP efficiently. Converting drawings to bitmap graphic is usually needed for making them viewable via standard image viewers. Sometimes it is a requirement for printing, faxing, etc. If you faced the need to convert DXF into BMP images, do this with the help of Total CAD Converter. There is no easier way of exporting DXF to BMP, only a few clicks are required to complete the whole process. The program is built so that you can easily run through the whole process in a few seconds. First you need to find the source files that you need to convert. It easy to do in navigation panel integrated into the interface of this DXF BMP converter. 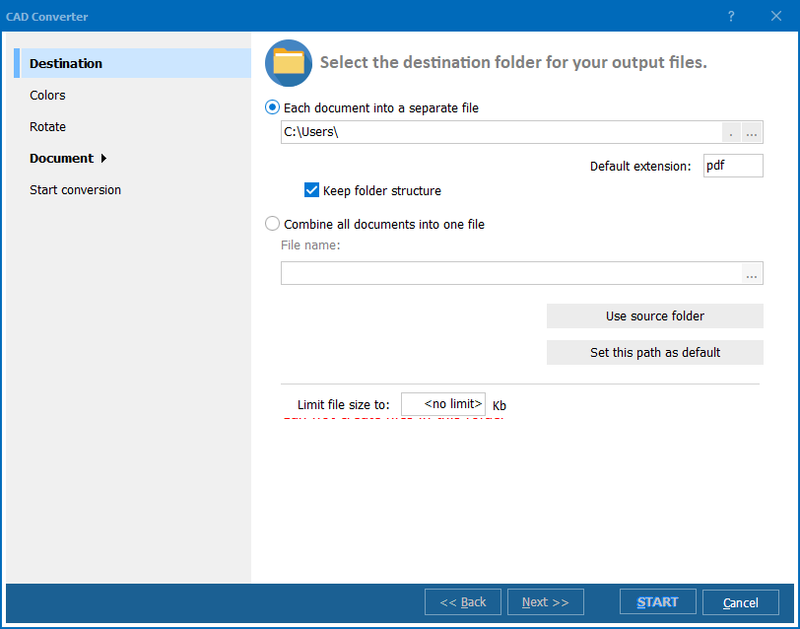 When you choose the proper folder on the left panel, you will see its files in the central list. In this list you need checkmark the required files and then move to the target forward panel. Here you need to choose the desirable format – BMP. 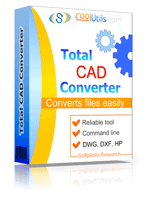 With Total CAD Converter there is no need to convert drawings one by one. It can convert DXF to BMP in batch that means it is possible to process all files in a few seconds. 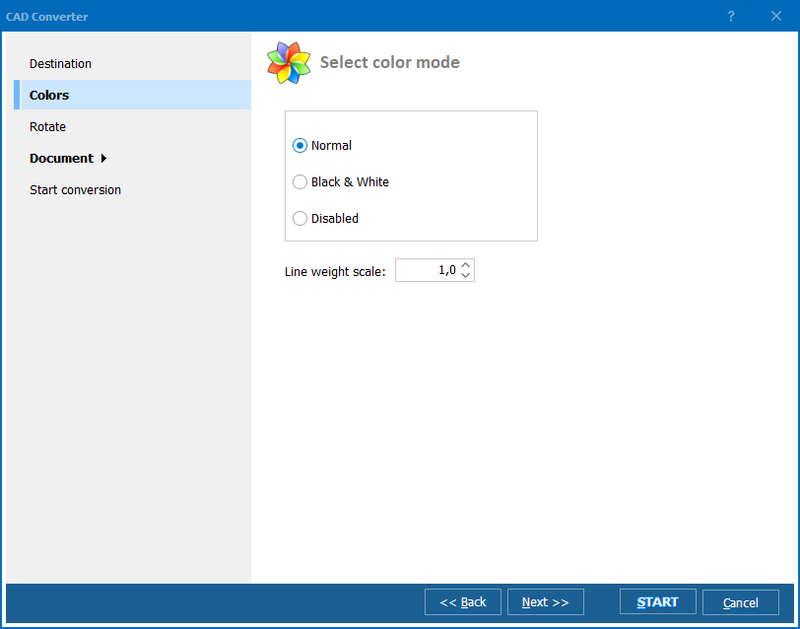 If you have a few drawings that need to be converted with the same formatting parameters, you can select them into one batch and make settings once for all files. Total CAD Converter will make your DXF files compatible with any viewing/editing software by converting it to BMP or other image formats. Try it for free!